Delicious, stretchy, Pizza Mozzarella cheese in a lighter version perfect for making pizza, lasagna or your favourite pasta dishes. Can be used for cooking or as a topping to appetizers, salads or entrées – the possibilities are endless. Found in the Dairy Case section at your grocery store. 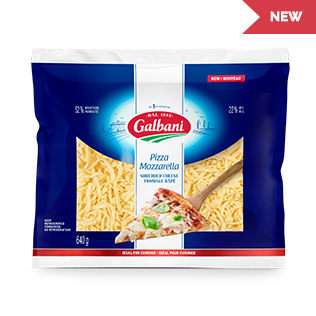 Enjoy the same delicious, buttery Galbani Pizza Mozzarella cheese now conveniently pre-shredded for you and your family in a 640g large size, resealable bag. Making pizza, lasagna and other family favourite recipes has never been so easy. 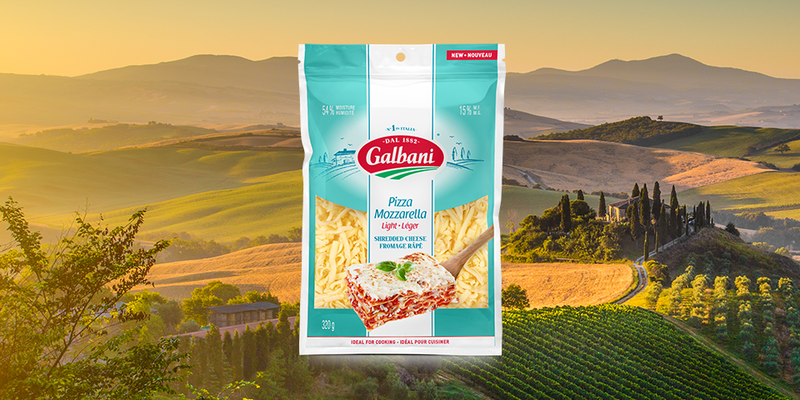 Enjoy the same delicious, buttery Galbani Pizza Mozzarella cheese now conveniently pre-shredded for you and your family. Making pizza, lasagna and other family favourite recipes has never been so easy. 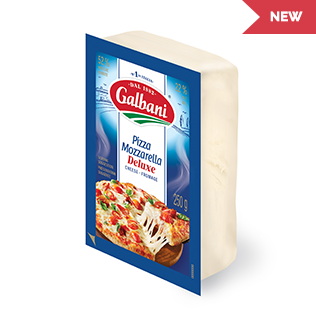 Galbani Pizza Mozzarella Deluxe is a rich, creamy cheese that melts to perfection on pizzas and lasagna.